** THE PERFECT MULTI PURPOSE MANUAL COFFEE AND SPICE GRINDER ** Our ceramic burr coffee grinder always delivers an even grind without clumping, clogging or leaving chunks of beans behind. ** Our ceramic burr coffee grinder always delivers an even grind without clumping, clogging or leaving chunks of beans behind. Your Bodum french press will be happy for this awesome coffee bean grinder. Also a premium quality Spice mill for Chia, Grains, salts. FREE Cleaning brush included. This ceramic conical burr hand coffee and spice grinder won’t let you down. high quality adjustable spice grinder. 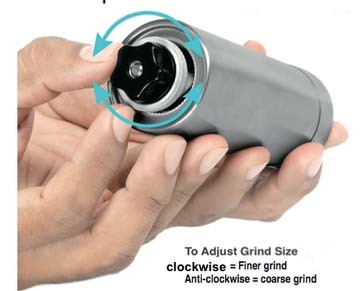 ** When you wish to alter the grind size of the coffee grinder, just give a simple twist! You don’t have to open the grinder, change blades or add any attachments. 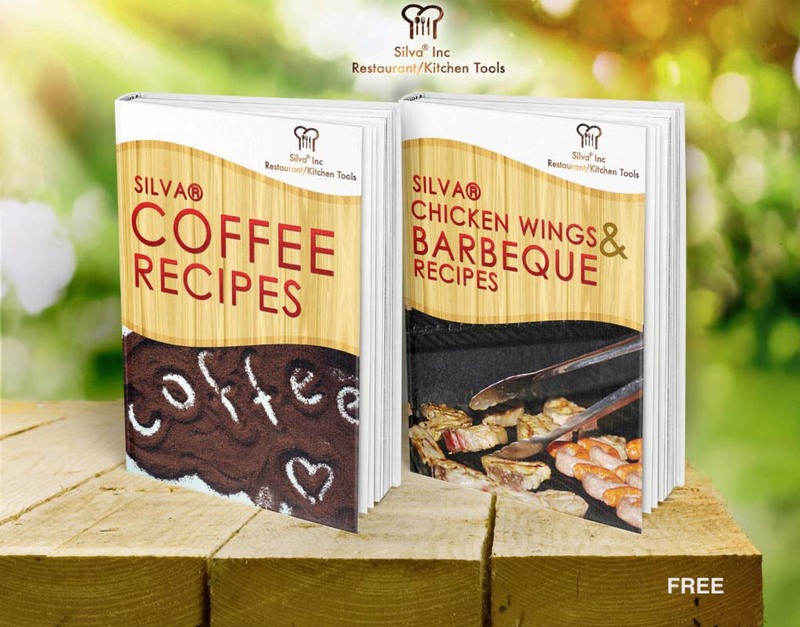 Your french press will love this. There are some coffee makers with coffee grinders out there but for some of us there is something magical about making your own grind. 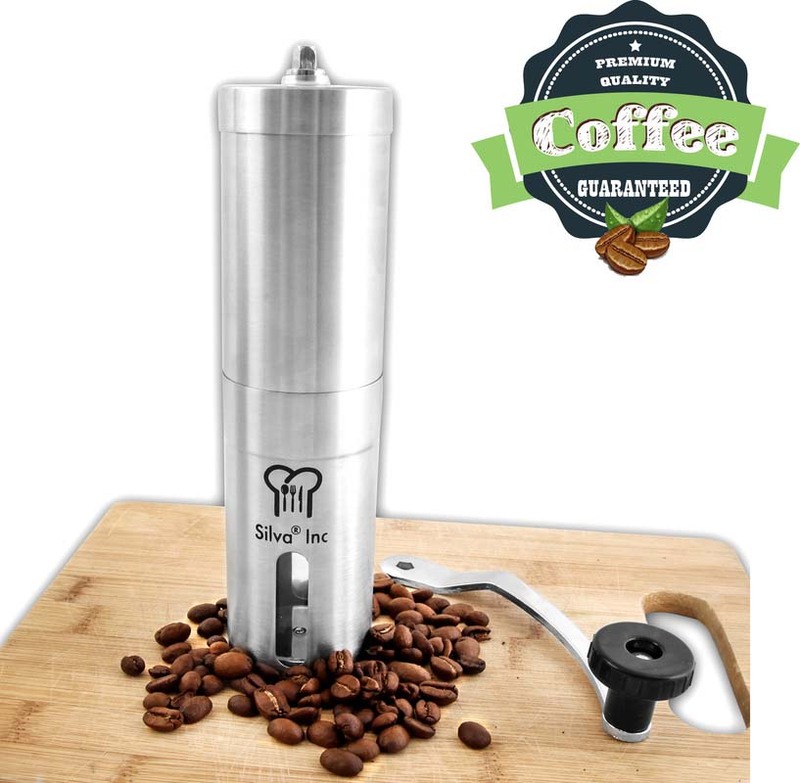 * Stainless steel body gives the hand grinder a sleek look and makes it resistant to wear and tear; Ceramic burr grinder will never develop rust or corrosion and perfectly holds its edge for years of use. Although our burr coffee grinder is a fraction of the price of the Capresso burr grinder and others on the market, we’re certain you’ll agree it’s a match for their quality. Don’t pay more for a brand name! . The best coffee grinder was specifically designed with the AEROPRESS in mind. Fits like an awesome glove along with good french press travel mug. 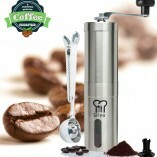 This manual coffee grinder a perfect holiday gift. 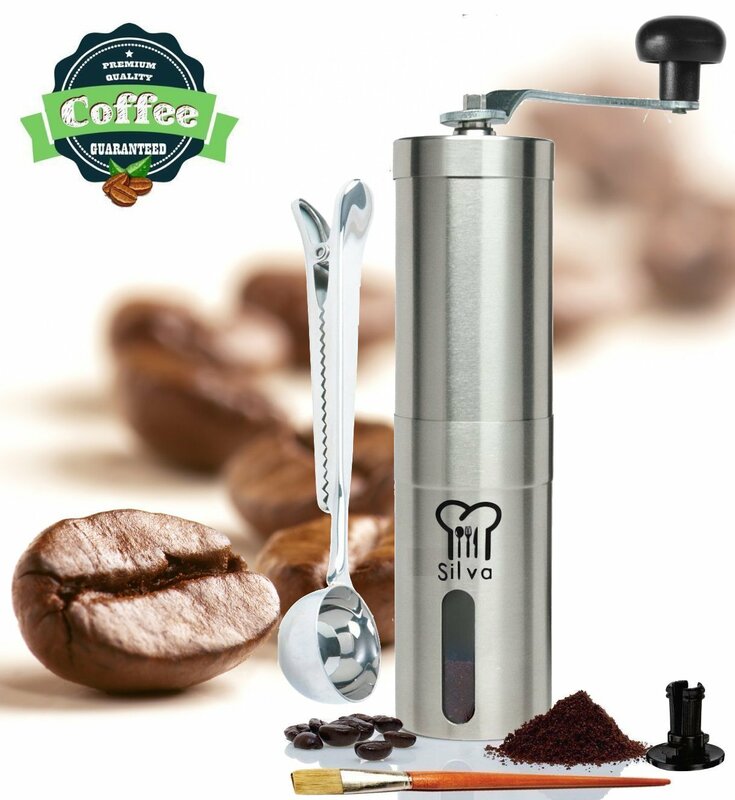 We stand behind the quality of our manual coffee grinder 100%. 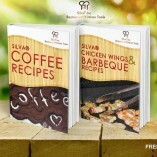 If you’re not completely thrilled with the coffee it helps you make, let us know within 30 days for a complete refund! This is top quality coffee hand grinder. the best manual burr grinders hands down. Awesome customer service. i’ve had mine for 2 years . Just awesome. Blades chop up your beans , ceramic burr are just better . This little hand crank coffee grinder is awesome. It’s simple, works really well and well built. I’d recommend it for a quick morning coffee and then off to work. I bought this to travel with. I really prefer my beans freshly ground when I make coffee and hotel coffee is terrible. This little gem grinds just enough for two mugs of STRONG coffee. It is extremely easy to adjust the grind (just a simple turn of the nut) and grinds quickly for a hand operated grinder.